Annoyed of the itchy dry scalp and those white dandruff flakes falling off on your shoulder? You are not alone! About half of the world's population is suffering from it. 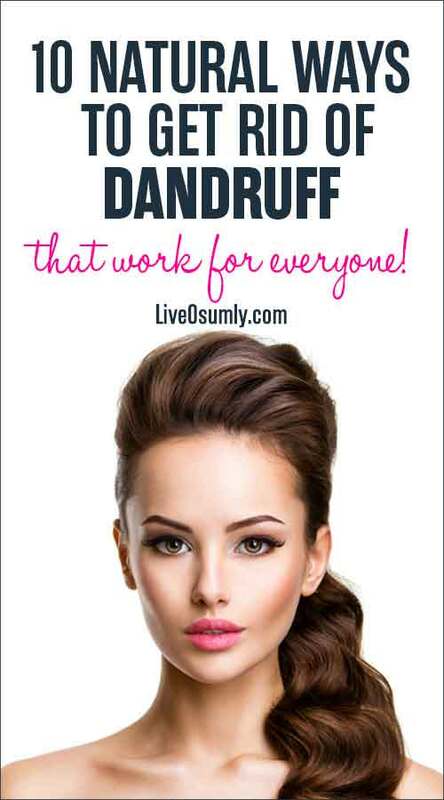 Yes, Dandruff is a very common problem that affects everyone at some point in their life. It is neither contagious nor harmful, but it can be quite embarrassing in public. However, if you don't sort a dandruff cure, it can lead to serious issues such as hair fall, hair thinning, scalp acne and skin irritation. Not to worry, with the proper care and treatment, it can be easily controlled and prevented forever. Dandruff is the excessive shedding of dead skin cells from the scalp. It is normal for the human body to get rid of dead skin cells periodically. 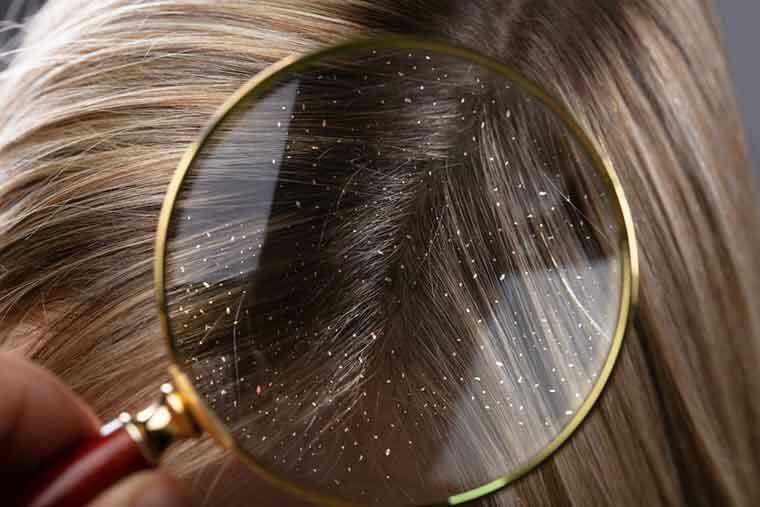 These dead cells will shed off in the form of white flakes from the scalp of your head. So, a small amount of flaking is a completely natural and normal process. But for people suffering from dandruff, it happens rapidly (say, once in every 2-6 days) resulting in a large amount of flaking. Even though it’s not dangerous, the symptoms can be quite very annoying. 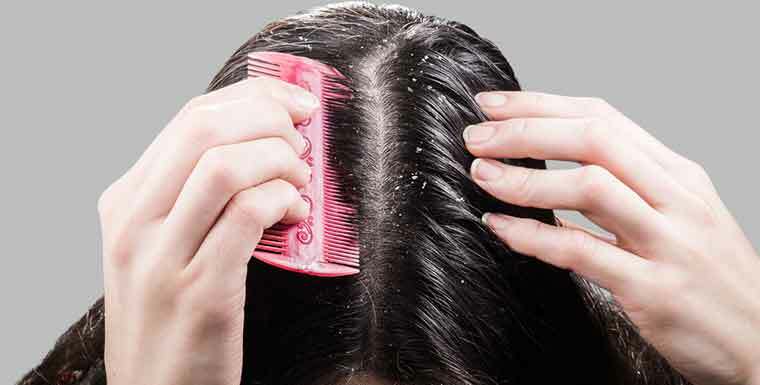 Most common symptoms of dandruff include constant itching, irritation, redness and scaly scalp with white flakes being scattered throughout the scalp. 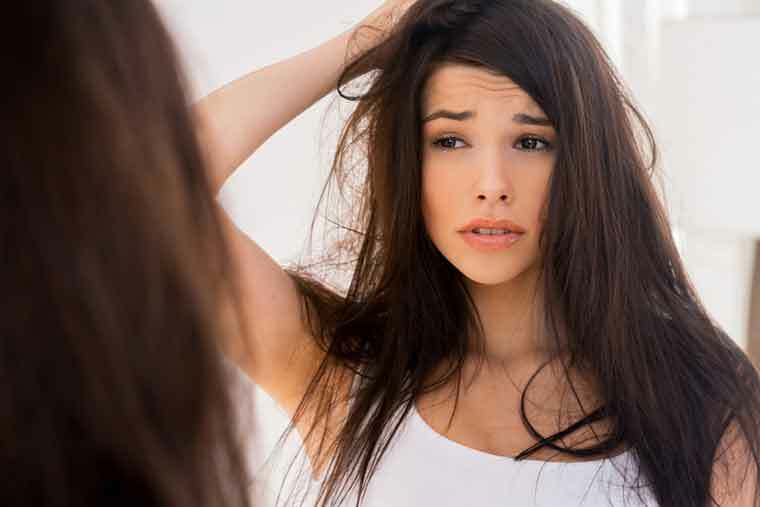 When left untreated, it will eventually weaken your hair follicles making them prone to breaking leading to hair loss. Dandruff affects both men and women. However, in comparison, men tend to get more dandruff than women. Dandruff usually starts at puberty so it is more prominent in adults (Older than 20 years) than in small children. Dandruff is very less prominent after 50 years. There is no single reason that contributes to dandruff. Dandruff is caused due to multiple reasons which are basic and common in our day to day life. Let us look at these causes one by one in detail so we get a clear understanding of the factors causing it. A clear understanding of the causes will help us take precautionary measures to safeguard ourselves in an appropriate manner. Dry skin is one of the main causes of dandruff. Dandruff caused due to dry skin is usually less oily in nature and does not cause any inflammation. Generally, people who experience the symptoms of dry skin in the leg region and other parts of the body tend to get dandruff in their scalp. 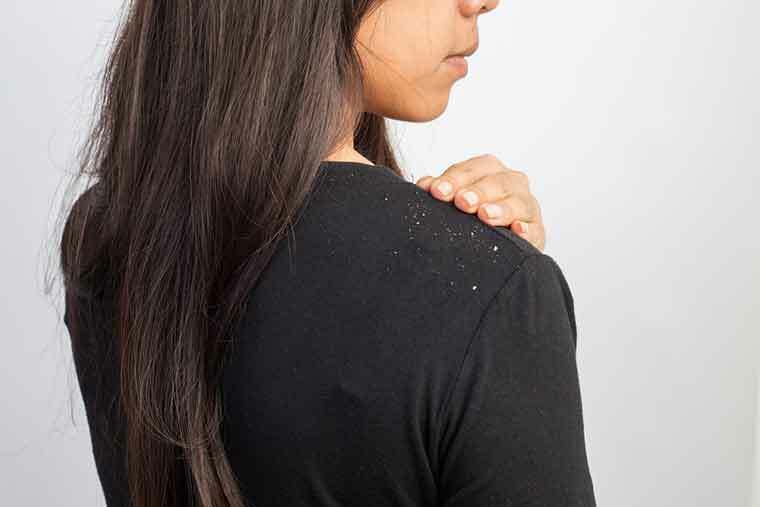 Dandruff flakes caused due to dry skin are smaller in size when compared to other factors. Those who are used to getting dandruff because of their dry skin nature need to ensure that their scalp is maintained with minimal moisture at all points of time. 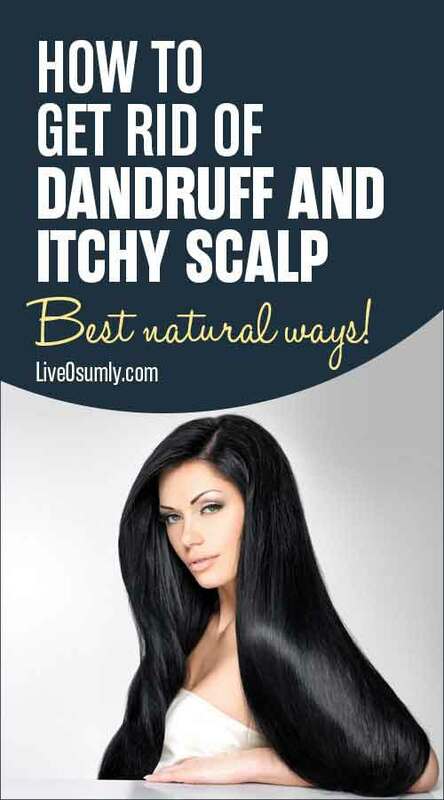 This will help them to get control of dandruff naturally. Skin is one of those aspects of the human body that suffers the maximum due to internal and external factors. The external environment we live in causes constant damage to our skin in varying intensities. This being the case, it becomes important that we take enough care to clean the skin portion in regular periodicity. When we tend to ignore our scalp region, it gets infected due to impurities resulting in dandruff and other kinds of medical conditions. Hence, following healthy habits is very essential to keep dandruff at bay. Seborrheic Dermatitis is a medical condition experienced by many whose basic skin type is oily in nature. This is one of the worst skin types as it causes greasiness in the scalp resulting in dandruff. The other skin areas that may get affected due to Seborrheic Dermatitis are the eyebrow regions, the rear side of the ears, the sides of the nostrils, armpits, sides of the groin in men and the breastbone in women termed as Sternum. The irritation and greasiness are high in such types of skin. 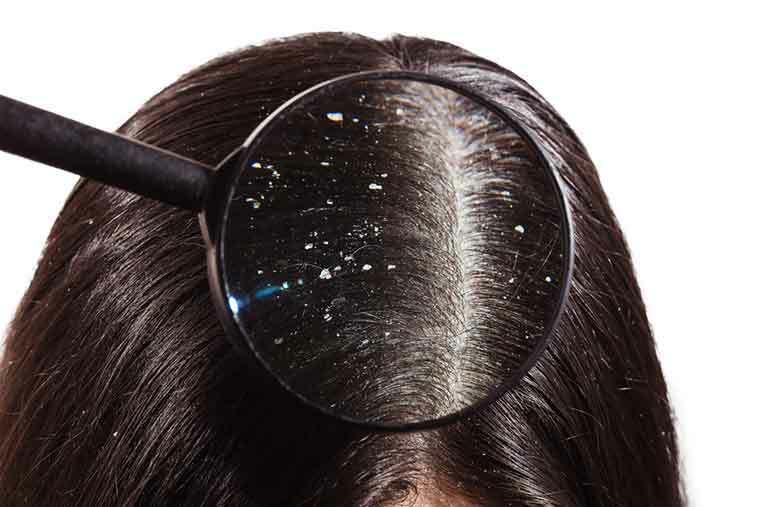 Dandruff produced because of such greasiness in the scalp looks white or pale yellow in colour. Many of us are in the habit of trying new hair care products as and when companies market them highlighting a new feature. Our expectation from the new feature does not meet our requirement all the time. The gap that exists between what we require for our hair care and what the new feature offers, in reality, does high levels of irreparable damage. As you must know, using a bunch of products will harm your scalp and hair. One of the main damages is the creation of dandruff. Unfortunately, owing to get rid of dandruff, we try more new hair products aggravating the already existing damages to higher levels. Malassezia is a type of fungus that forms in the scalp of adults. This fungus feeds on the dead skin and oils on your head. The Malassezia fungus increases the count of skin cells that grow normally in the scalp. The faster growth of the cells leads to congestion causing inflammation and irritation on the scalp. The skin cells that grow in such a fast rate die at the same speed. These dead cells form as flakes and are basically white in colour. Dandruff caused due to Malassezia is quite severe. Thus, it is important to treat Malassezia during the initial stages by consulting your dermatologist. 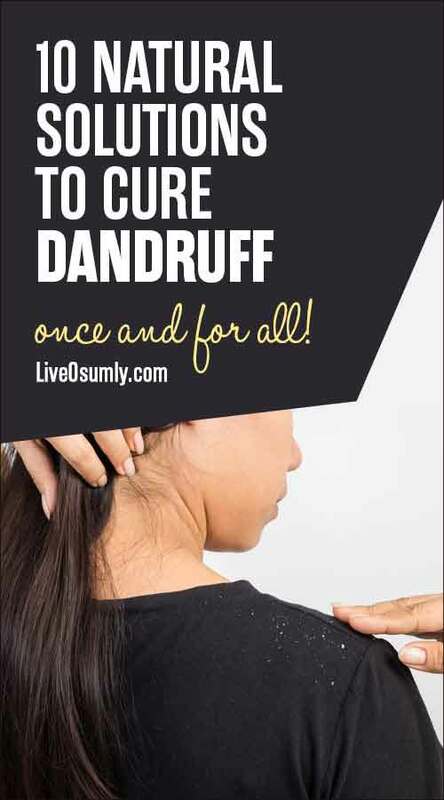 This will help you get rid of dandruff fast and without much difficulty. 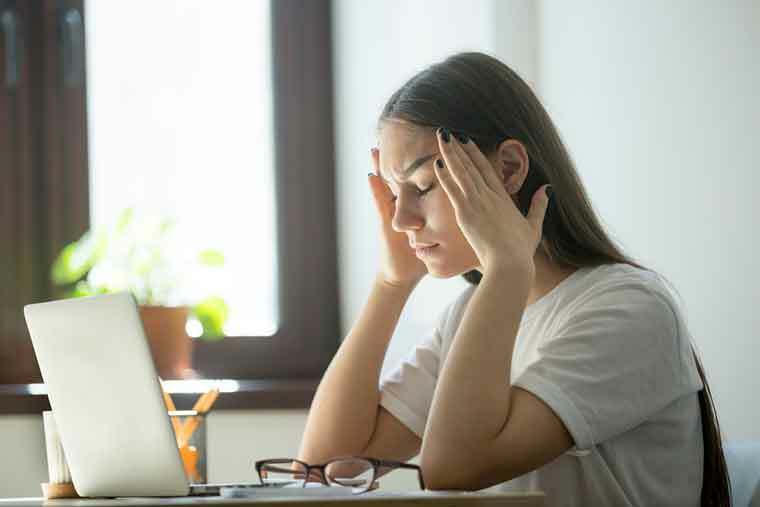 The high levels of stress experienced by a person can also cause dandruff. Experiencing intensive stress frequently makes dandruff a permanent issue causing more and more damage to the scalp. Additionally, consuming food items that cause damage or irritation to the skin acts as one of the major reasons for dandruff production. 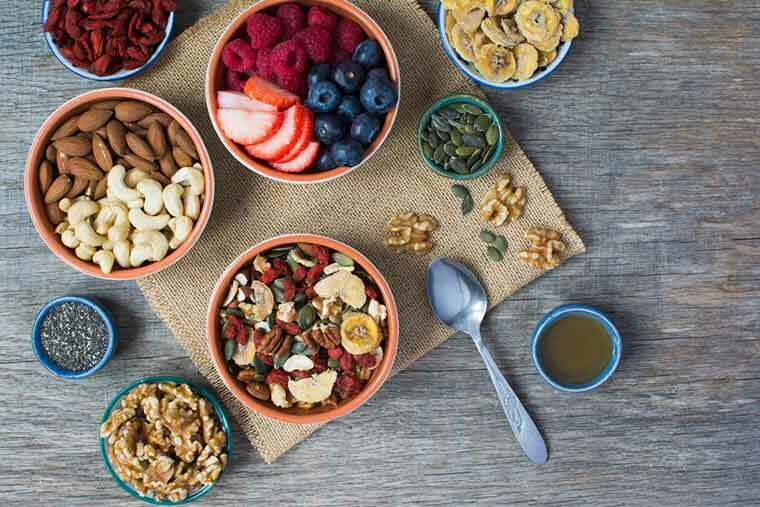 Practice healthy food habits to keep your skin, hair and of course overall body healthy. Now that we have seen the different factors that causes dandruff, let us learn how to get rid of dandruff without causing much damage. There are many products designed to combat dandruff from hair oil to cream, from medicated to commercial anti-dandruff shampoos and many more. 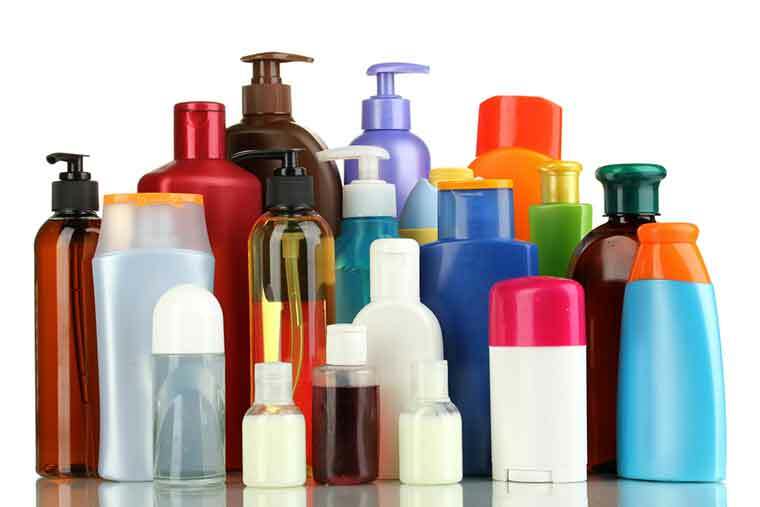 However, most of these products contain harmful chemicals that can actually damage the scalp further than doing good. Fortunately, there are effective home remedies to eliminate dandruff without burning a hole in your wallet. Here we outline The 10 best ways to get rid of dandruff naturally. Fenugreek Seeds are one of those common ingredients available in every kitchen shelf. They have many medicinal properties that add immense value to human health. Fenugreek seeds are rich in proteins, vitamins, and minerals that help in warding off dandruff flakes. They hydrate your hairs and soothes your dry scalp. Additionally, they strengthen the hair roots and make your hair stronger, smoother and shinier. Plus, they cure hair problems like hair fall, hair thinning, baldness and variety of scalp issues. 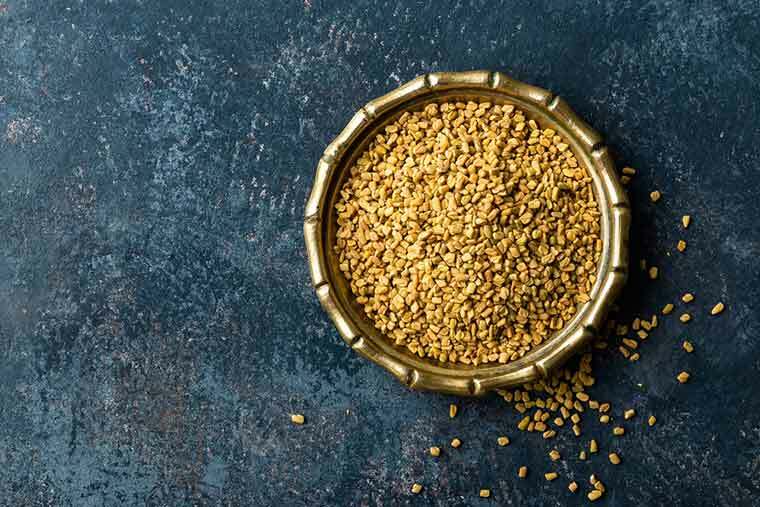 Take a handful of fenugreek seeds and soak it in water overnight. Grind the soaked fenugreek seeds in a mixer jar into a fine paste. Apply the paste generously on the scalp area and let it sit for 30 minutes. Then, rinse it off with a mild shampoo. For best results, repeat this twice or at least once a week till you get rid of dandruff completely. Remember, fenugreek seeds not only help in eliminating dandruff, but it will also give you a healthy and lustrous hair. Therefore, use them regularly to reap their maximum benefits. Naturevibe Botanicals Organic Fenugreek Seeds are top graded whole dry seeds and comes in a small jar. They are gluten-free and are not genetically modified. The fenugreek seeds pack comes in 3 size variants - 5 lbs, 16 Ounces and 32 Ounces. Aloe vera is a natural product that is high in succulent qualities. 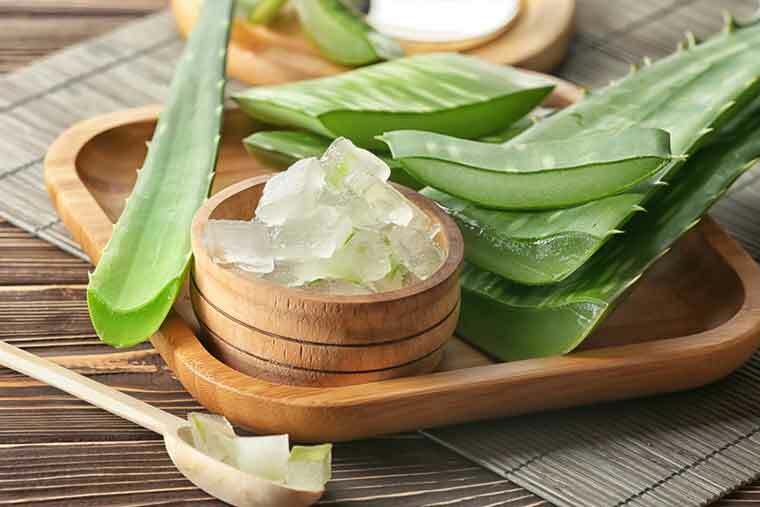 The medicinal properties of aloe vera are highly beneficial for getting rid of dandruff. Aloe vera has anti-fungal and anti-bacterial properties. These properties protect the scalp from any infections by different kinds of fungus and yeast that results in dandruff. It also moisturizes the itchy scalp and soothes it producing a cooling effect to the scalp region. Hence, if you are having an ebbing question of how to get rid of dandruff, Aloe vera gel is your best answer. Apply aloe vera gel on the scalp and leave it for 30 minutes. Then, wash your hair with mild shampoo. Repeat this once or twice a week for best results. Seven Minerals Aloe Vera Gel is 100% free from irritating Xanthan, Carrageenan and Carbomers. This aloe vera gel is produced from freshly cut aloe leaves from USDA (OTCO) certified fields in Southern Texas. The gel is one of the purest and strongest product because of the unique cold-pressed formula that packs the complete values of raw aloe vera leaves in every bottle. With 100% natural thickener Seaweed Extract, the aloe vera gel is easy to apply and not sticky or watery. Coconut oil is one of the best moisturizing agents that enriches the skin better than any other natural products for the purpose. 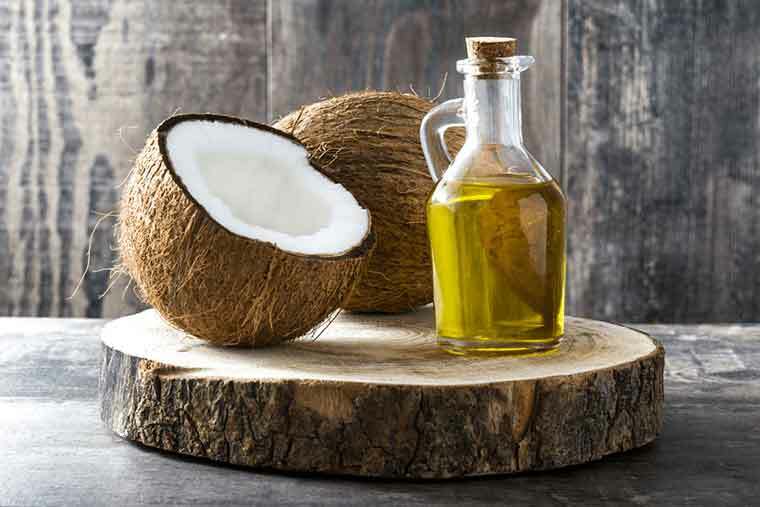 Coconut oil is rich in anti-bacterial and anti-fungal qualities. This makes it the best natural product for severe dandruff cure. The Vitamin E content present in coconut oil makes it the best moisturizer that maintains the scalp with the required levels of water content. This helps to prevent dandruff formation as well as to get rid of dandruff that is already formed. Massage coconut oil on the hair scalp evenly and leave it on overnight. Wash your hair with a mild shampoo in the morning. Viva Natural organic extra virgin Coconut oil is extracted from hand-picked coconuts by local farmers in idyllic, fertile mountain regions in the Philippines. The succulent coconuts are cold-pressed at low temperatures within a few hours of being harvested. In order to preserve the vitamins, mineral and medium-chain triglycerides (MCTs), the coconuts go through a proprietary extraction method. And the result - 100% extra virgin coconut oil with no other ingredients. Apple Cider Vinegar is well known for the huge number of health benefits it offers to human health. This is the reason why Apple Cider Vinegar has made to our best fat burning foods list easily. In addition to fat burning, the acidic nature of Apple Cider Vinegar helps get rid of dandruff easily. This acidic nature is what that fights the fungus growth in the hair roots of the scalp. Apply Apple Cider Vinegar directly on the scalp or in combination with any essential oil of your choice. This will help you say goodbye to your dandruff woes. Additionally, add few drops of Apple Cider Vinegar to the shampoo you use regularly to witness positive results. 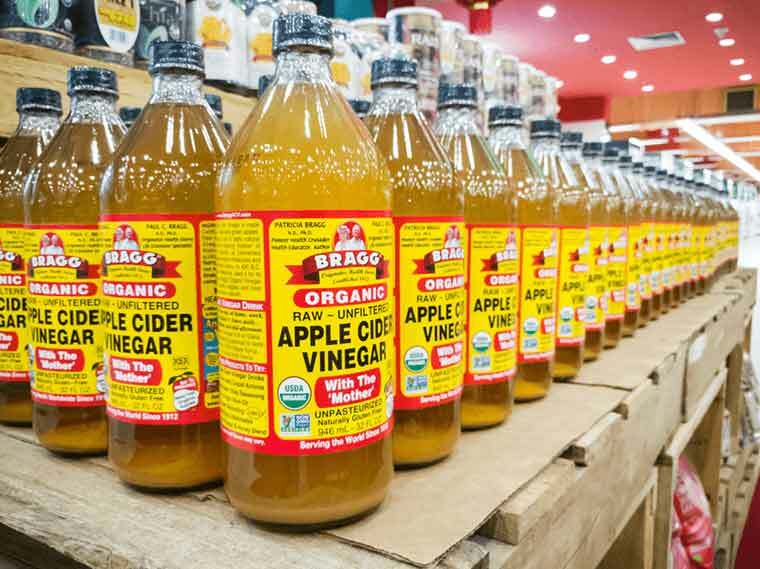 In the case of Apple Cider Vinegar (ACV) recommendation, we can go no further past the Bragg's organic raw apple cider vinegar. The product is made from delicious, healthy, organically grown apples. This ACV contains the amazing 'Mother of Vinegar' which occurs naturally as strand-like enzymes of connected protein molecules. It is unfiltered, unheated, unpasteurized with 5% acidity. Also, it is certified organic by Organic Certifiers and Oregon Tilth and is Kosher Certified. 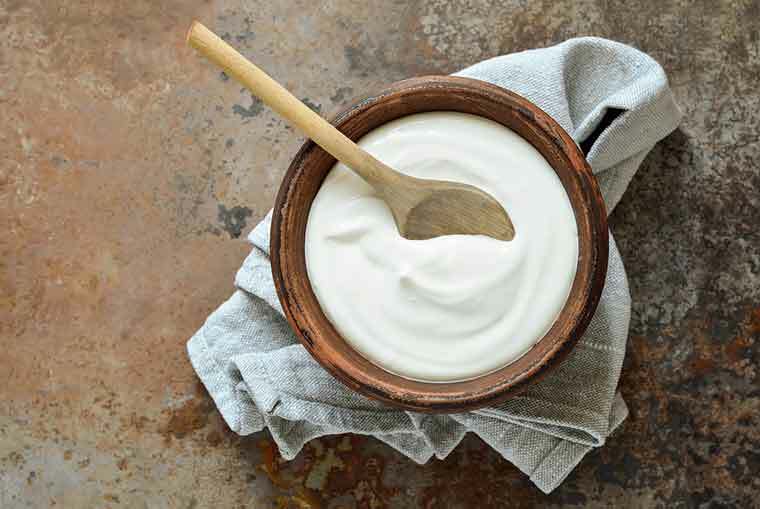 Yogurt is rich in probiotic qualities which can add immense value to your scalp health. The acidic richness in Lemon Juice helps to stop dandruff by eliminating the fungus present in the hair roots. In parallel, Yogurt enhances the texture and health of the scalp through its value-adding qualities. Hence, adding a small quantity of lemon juice to yogurt will enrich the mixture with significant acidic qualities. Apply yogurt with lemon juice once in a week 20 minutes before taking a head bath. If your scalp is already affected with severe dandruff, use this mixture once in three days till you get rid of dandruff completely. Using Castor Oil is one of the oldest methods adopted by people to get rid of dandruff quickly and easily. 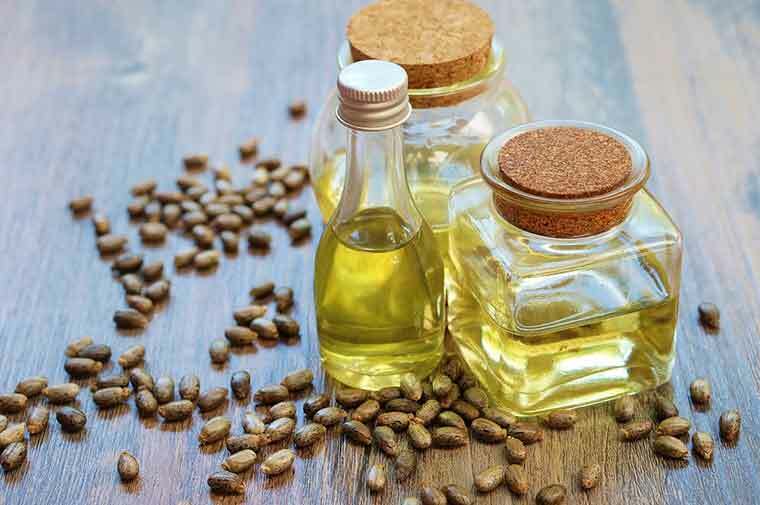 Castor Oil is rich in antimicrobial properties. These properties help in treating infections and inflammation in the scalp. Apart from treating dandruff, castor oil also makes your hair thicker and stronger. Heat castor oil to lukewarm temperature. Apply the heated oil on the scalp and massage thoroughly with your fingertips. 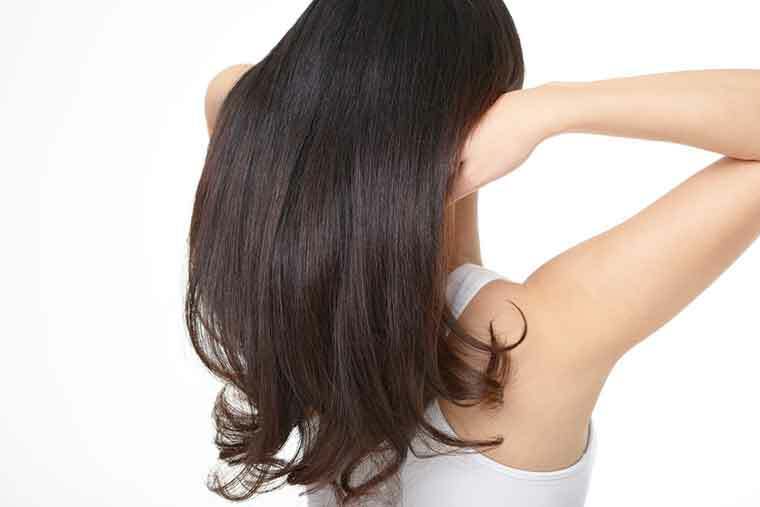 After hair wash, you will feel the moisturizing effect of castor oil on your hair roots. This required levels of moisture prevents the production of dandruff in the roots. So, if someone asks you the best and simple way of how to get rid of dandruff, then your answer must be - regular castor oil application, without any second thoughts. Kate Blanc’s Castor Oil is organically grown and cold pressed with no added preservatives. The oil comes in an amber glass bottle to protect from harmful UV light and it also includes a glass dropper. The bottle is 100% pure castor oil with no carrier oil added. Also, Kate Blanc’s Castor Oil is USDA certified. 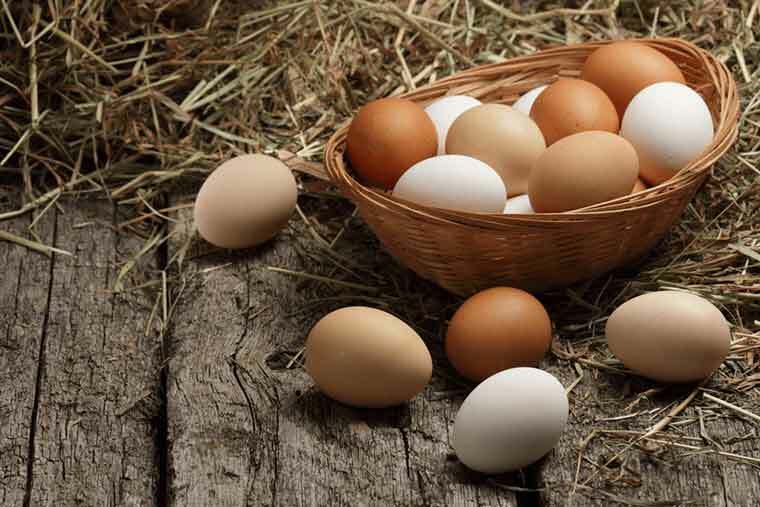 Eggs are one of the best home remedies to get rid of dandruff. Egg works wonder for your hairs as it contains proteins, multi-vitamins and sulphur that fight against dandruff. Also, eggs not only reduce dandruff but also keeps your hair healthy and shiny. Further, it will strengthen your roots and makes your hair grow long and strong. Mix 2-3 egg yolks depending on your hair volume. Apply it on dry scalp and leave it on for an hour. Then, wash it off with a mild shampoo. 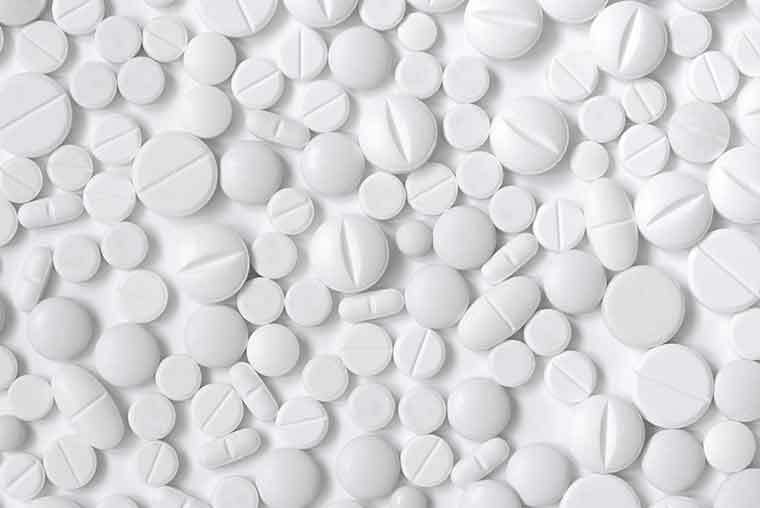 Aspirin contains salicylic acid which has fungicidal and anti-microbial properties. It exfoliates your slap and eliminates dandruff. Crush up 2-3 aspirin tablets to a fine powder. Add the powder to your regular shampoo when you wash your hairs. Make sure to leave the aspirin mixed shampoo on your hairs for about 2 minutes before rinsing off completely. Basic Care Aspirin tablets are gluten-free, caffeine-free and dye-free. They just work as well as the more expensive brands. Olive oil is the best home remedy to treat dandruff at home. It has anti-bacterial and anti-fungal properties that can fight against fungus and yeasts that cause dandruff. Olive oil acts a natural conditioner that nourishes your hair by promoting healthy hair growth. The nutritious oil moisturizes dry scalp and prevents them from flaking off. Plus, it will soothe flaking and itchy scalps thereby relieving you from dandruff symptoms. Heat some olive oil and massage it evenly on your scalp. Leave it on overnight and rinse your hair in the morning using a mild shampoo. 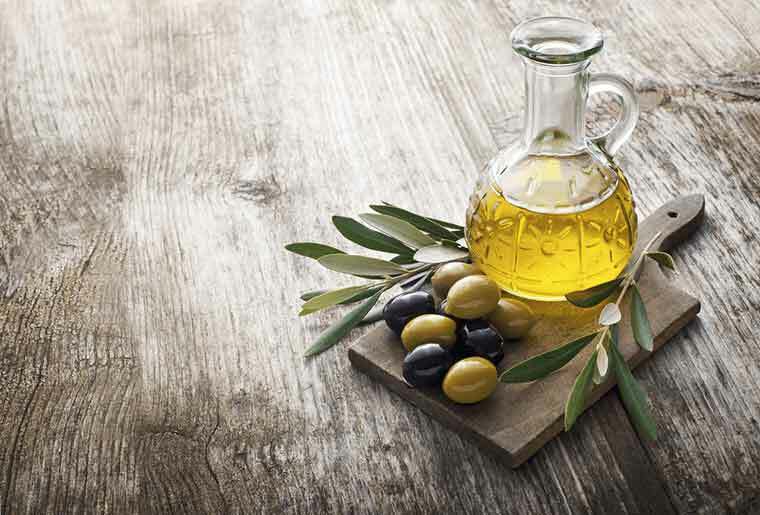 The Colavita Extra Virgin Olive Oil is imported from Italy. Olive harvested from the finest groves in Europe under cold-processing to produce the oil. The olive comes exclusively from Italy, Greece, Spain or Portugal. This Premium Selection Extra Virgin Olive Oil bears the North American Olive Oil Association (NAOOA) Quality Seal. This means that it has been tested for both quality and authenticity according to the International Olive Council (IOC) standards. Also, the bottle bears the Cermet seal. This seal certifies that Colavita Premium Italian Extra Virgin Olive Oil is obtained exclusively from olives harvested and pressed in Italy. Enriching your diet with healthy and nutritious foods is another effective remedy to get rid of dandruff. Include foods that are rich in Omega 3 fatty acids, vitamins and proteins. These strengthen your hairs and prevents dandruff. Avoid excess consumption of sugary and oily items. 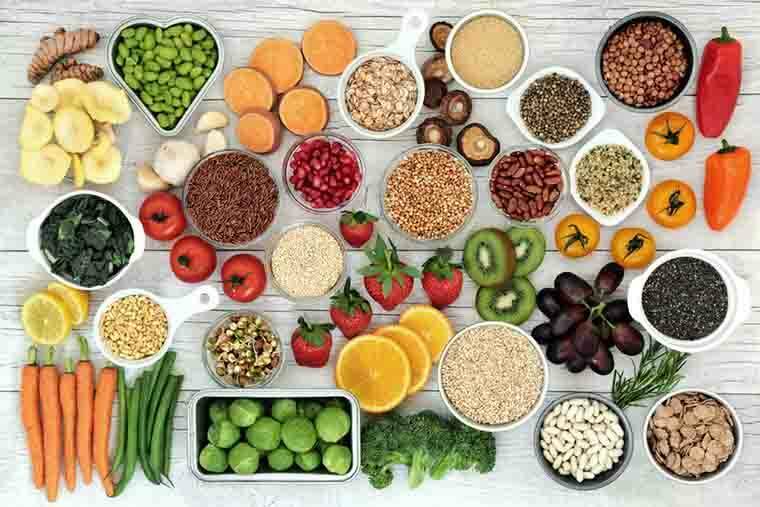 Instead replace them with good healthy foods such as meat, eggs, fish, pulses, fruits, and green leafy vegetables. Also, drink plenty of water to keep your skin hydrated. 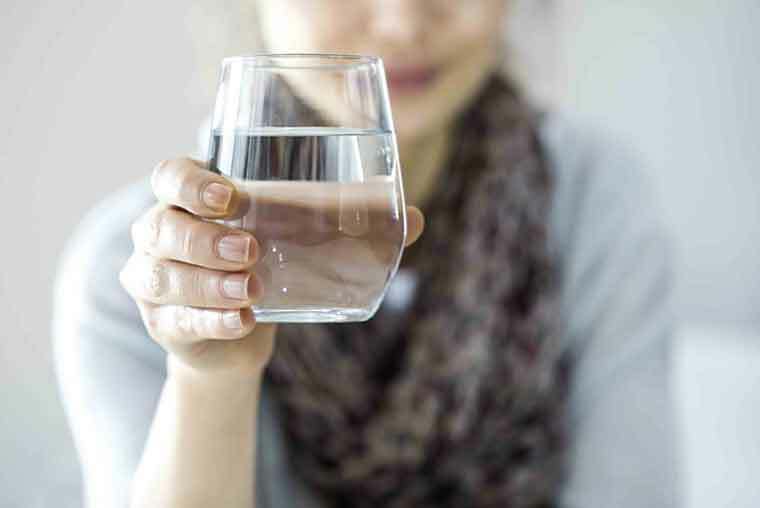 In fact, drinking water offers immense benefits but we tend to underestimate it. Finally, control your mental stress. The situation tends to turn wild upon stress. Just try to stay relaxed even in tough situations. This will provide you with the atmosphere to think the best way to come out of the trouble. With that, make time to practice stress-free yoga techniques and meditation. 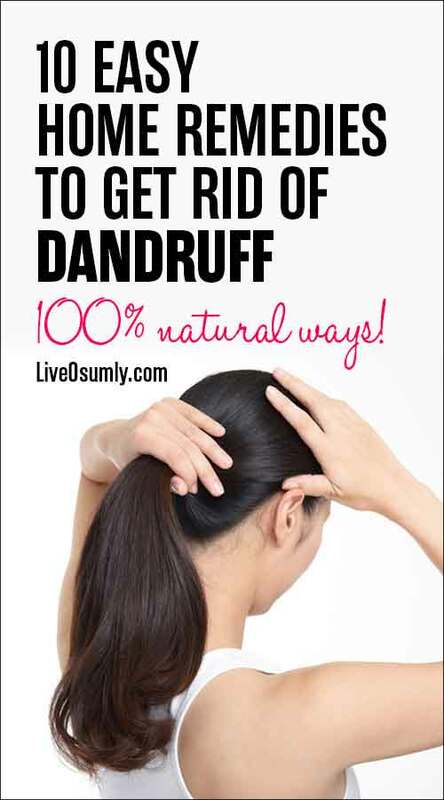 You now know the natural ways of how to get rid of dandruff. It may be hard if the dandruff is severe but it’s not impossible. Also, dandruff is not something that will disappear overnight. You may take a quite long time to notice the differences. So, patience is the key here. All the above mentioned natural home remedies are very effective to get rid of dandruff. Consider trying a few of these and see which remedy works best for you. You need not worry about the side effects as everything mentioned and recommended in the post are natural and mild products. If nothing works for you, then the best option is to visit your dermatologist and get examined. All said, we would now love to hear about your dandruff experience and how you got rid of it in the comment section below. Dandruff has been a problem for me since I was in high school. People have told me that the cause for my dandruff was shampoo so I changed to different brands, but I still get awful dandruff. I’m glad I found this blog! Thank you for these remedies!